The answer for us is that it depends on lots of factors. Here are the things I consider when mapping out a nap strategy each day. 1) How many naps do the kids take each day? When Little Arrow was a baby and taking multiple naps, we made him nap on the go, which he was pretty good at. Now that he's down to one afternoon nap, it's easier to still see a lot of stuff but maintain that scheduled naptime back at our hotel or rental property. 2) Length of trip. If we're traveling for more than just 2-3 days, we make naps a big priority. Otherwise, our kids are just a mess halfway through the trip. If it's a short trip and there's a lot we want to see, we definitely consider the napping-on-the-go option. 3) Plans for later in the day. If we hope to eat at a nice restaurant, sightsee, or do a big activity in the late afternoon or evening, then again, napping becomes a big priority so that the kids are rested and better behaved. If we're just hanging out with no formal plans, then I lighten up about the schedule. 4) Where we're staying. Both my kids struggle to settle down easily in a hotel room. So if we're staying in a hotel, I tend to let naps happen on the fly instead of dealing with the struggle of getting them down in the room. If we're at a rental property (our strong preference when traveling), then I'm much more apt to return there for naps so that everyone (myself included) can rest. It's a big reason we tend to stay at those types of places. Other factors you might consider? 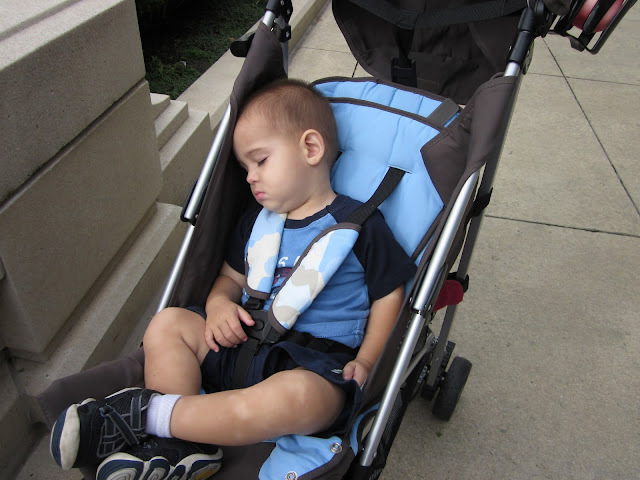 Personality of your child, how well they handle fatigue, how easily they sleep in strollers, carriers, cars or public transit. Missing out on the drive through the Swedish countryside. Sometimes the hardest part of naps and bedtime while traveling is just getting the kids to fall asleep in the first place. 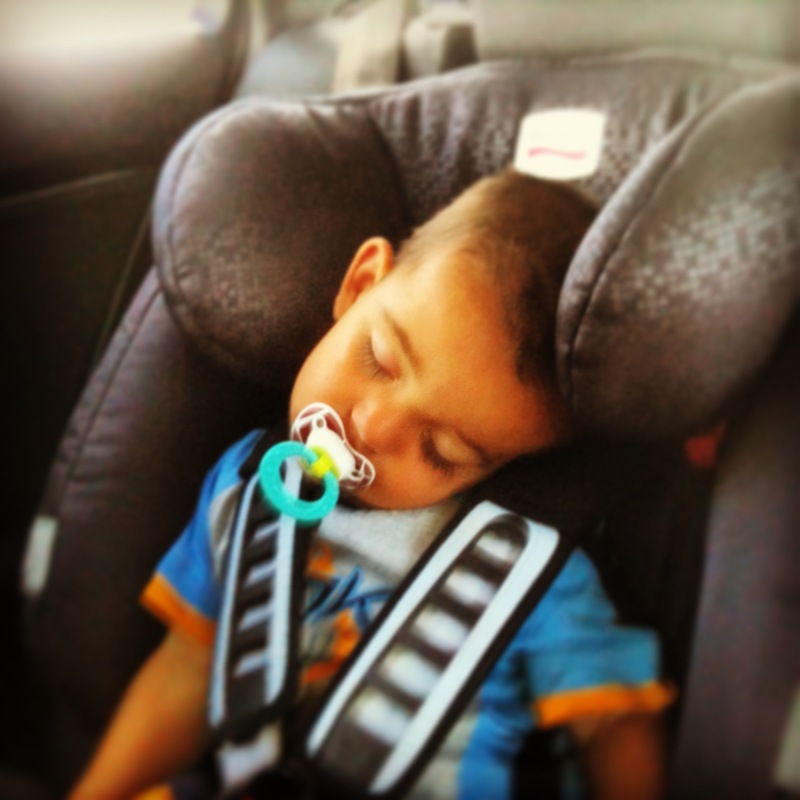 This is a great interview with a child sleep expert over at Travel Mamas. My fear of sleep disruptions was one of the biggest reasons I was scared to travel when I became a mom. I love how Nothing if not Intentional conquered her sleep issue fears in this post. Even a nomadic traveling family works in a nap routine. Such an insightful post about their daily schedule from Travel with Bender. Walking on Travels talks about what she does when naptime happens on an airplane. I love that Monique from Mo Travels embraced the "stroller nap" with her girls, as it meant quiet time exploring for her. Wild Tales Of shares all the places her then-baby could and would fall asleep, and the things their family does to ensure a good nap. Will Travel Mess with Baby's Sleep? This post is a part of Travel Tips Tuesday at Walking on Travels and Suitcases and Sippy Cups and Share Your Best at Two Kids and a Map.